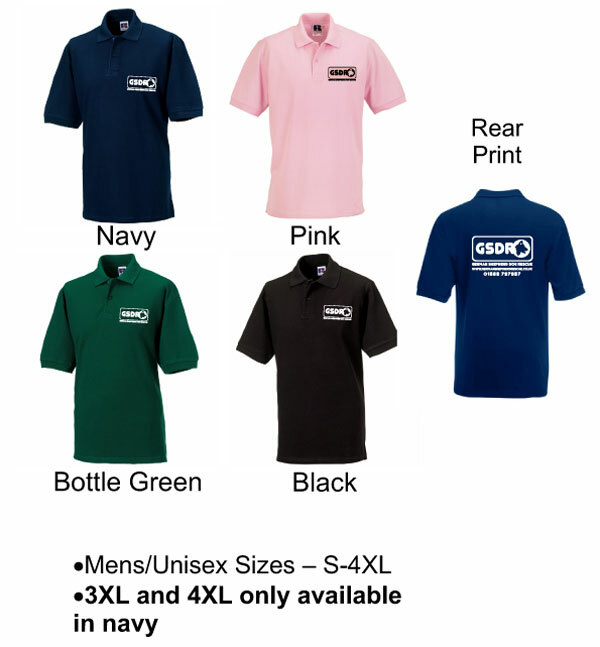 Good quality unisex polo shirts are always a favourite, especially for the summer. These come in many colours including those pictured - navy, black, pink and bottle green. We can do many other colours on request. We can vary the printing if you would like something else on them or you can just have printed on either the front or the back. Sizes 3XL and 4XL are only available in navy. The price stated includes Posage. These are the different colours that are available.